Long-time fans of Dissidia Final Fantasy were finally given something to munch on last week as the newest iteration of the franchise – Dissidia Final Fantasy NT, began its closed beta on the 25th of August. 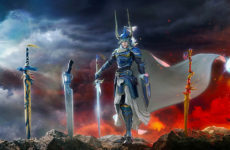 While fans in Japan were granted a new version in arcades since 2015; the last title on console – Dissidia 012, was released worldwide on the PSP in 2011, a whopping 6 years ago. Needless to say, many are eager to see the next instalment in the franchise and how it updates to the standards of today. Well for those of you who didn’t get a beta code, fret not! We at The MAGIC Rain were lucky enough to have secured some and are here to give you a brief first impression! Let’s start off with the roster. There are a total of 14 playable characters in the NT beta, with each character representing a Final Fantasy game from the 1st to the 14th (no one from FFXV yet unfortunately). 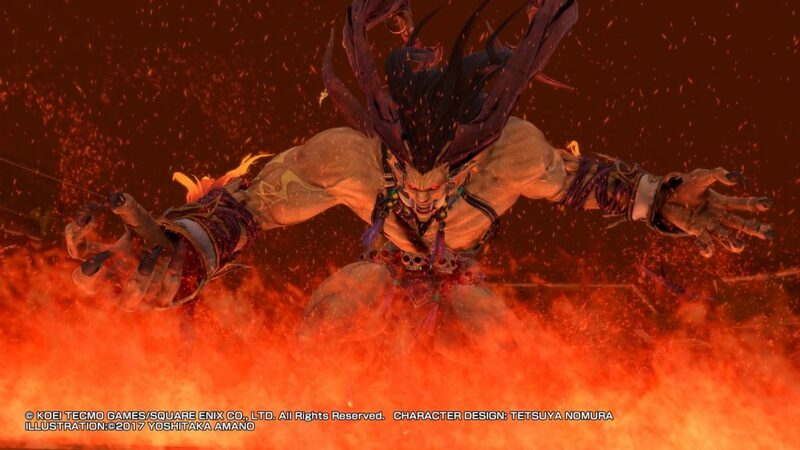 From FFI’s Warrior of Light all the way to FFXIV’s Y’shtola, there’s guaranteed to be someone any self-proclaimed Final Fantasy fan will recognize. While the villains are not in the beta, they alongside more characters are confirmed to be in the full game. Characters are split into four classes; Assassins – quick hit and run types, Marksmen – ranged attackers, Vanguards – close combat units and Specialists who have unique styles to them. The reason for this new class system is because unlike the previous Dissidia games, NT is an exclusively 3-on-3 fighting game. Players will need to discern and balance out their team roles or risk losing heavily to a weakness shared by all members. A full team of Vanguards for example would struggle against a full team of Marksmen. Before the battle begins you have the option to select pre-set skill loadouts for use in battle. 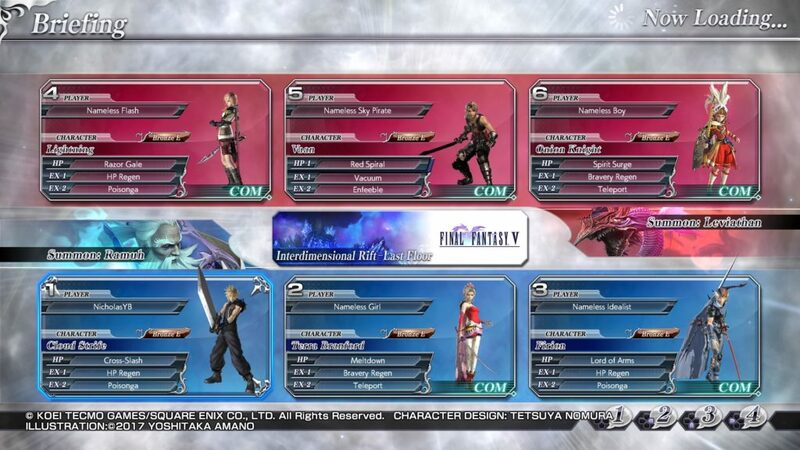 These are similar to the move sets in previous Dissidia games in which players can essentially choose what skills they’d like to map to their controls. The difference this time is that these skills now include buffs and debuffs that can affect the player and the opponent’s team. Now let’s get into the gameplay. As is typical of a fighting game, the objective is to beat the opponent into submission. Sounds simple, but Dissidia adds a layer to that formula by splitting attacks into two forms: HP and Bravery attacks. Every player has a pool of Bravery points (BP) and the number of Bravery you currently have will dictate how much damage your next HP attack will do. For example, if you have 300 BP and the opponent has 250 HP, your next HP attack will knock them out. Your opponents however can use Bravery attacks to siphon your BP to add to their own. Should you suffer additional Bravery damage and your BP drops below 0, you’ll suffer a “Break” status in which you require some time before your BP recharges. There are many nuances and tactics from this system alone that will take way too long to explain, but the bottom-line is that in Dissidia – carefully balancing the usage of both attacks is key to victory. What some old players may find a bit disappointing however is that NT has removed EX Burst attacks from the game (essentially flashy, ulti attacks) likely so that you won’t be interrupted by a cutscene every few minutes. What they’ve replaced that with however, is the new summon system. Summons are now each team’s ulti-attack and which summon your team goes in with is selected before the battle. Their buff effects while on the field vary for each of the summons but one thing is for certain – whoever summons first puts the opposing team at a massive and immediate disadvantage as the summoned monster will rampage throughout the stage causing massive Bravery damage. Both teams are allowed to summon only once per round though with the game’s fast and frantic style of gameplay, that may be all you need. I’ve honestly never found myself caught in a situation where I was desperately waiting to summon as all my battles so far have been rather quick to finish, either as a loss or a win. With the core gameplay out of the way, let’s move on to everything else about the beta. 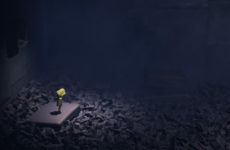 For one, as you might be able to tell with some of the screenshots already, the game looks great. The locales you fight in look amazing and character models (especially the summons) are commendably detailed in appearance though I’m a bit weirded out by some of the faces on certain characters. In terms of content, the skill sets and moves currently provided are a bit too simple and lacklustre, though this is likely because this is just the beta sample. 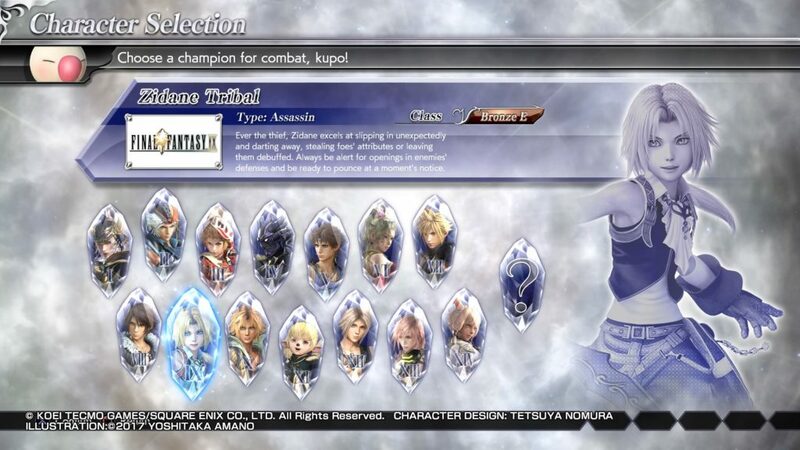 Hopefully the actual game doesn’t forget the vast level of move customization that was in the previous Dissidia titles. One of the biggest issues facing the beta right now however is the horrendous amounts of lag. 60% of my battles thus far can best be described as terrible slogs through PowerPoint slides with most button inputs not registering. 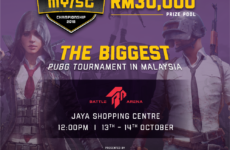 Opponents constantly teleport around the field while sound effects stutter as if the PS4 is on the verge of exploding. When it does work though (or if you play offline practice mode), the game runs and plays like a dream. Every bit the rush of adrenaline you’d expect from a fighting game of this calibre. Hopefully having this stress test now during the beta will spare the game this issue when it releases. 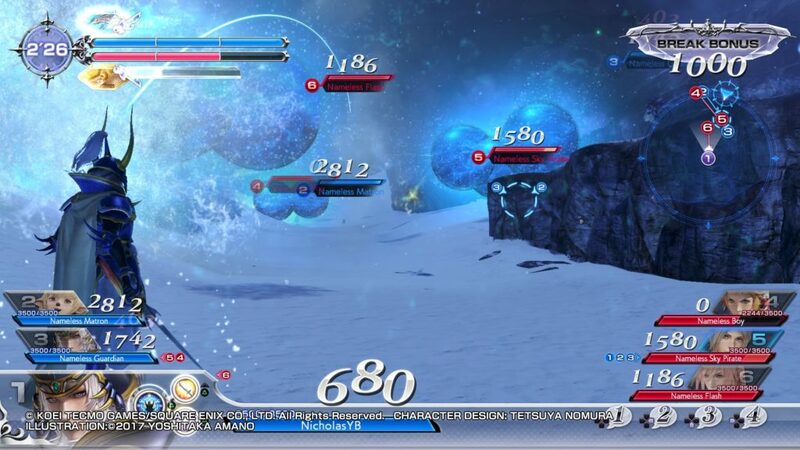 My main issue with Dissidia NT however is something I’m desperately hoping Koei Tecmo will change but know they probably won’t – the battle UI. It’s cluttered. Like REALLY badly cluttered. You’ve got health bars and Bravery point counters everywhere with just an obscene amount of bells and whistles. All the information there is useful mind you, there’s just way too much of it on screen. Top it all off with the extravagant and explosive effects the game pulls off and the screen can often times be a huge, headache-inducing mess. 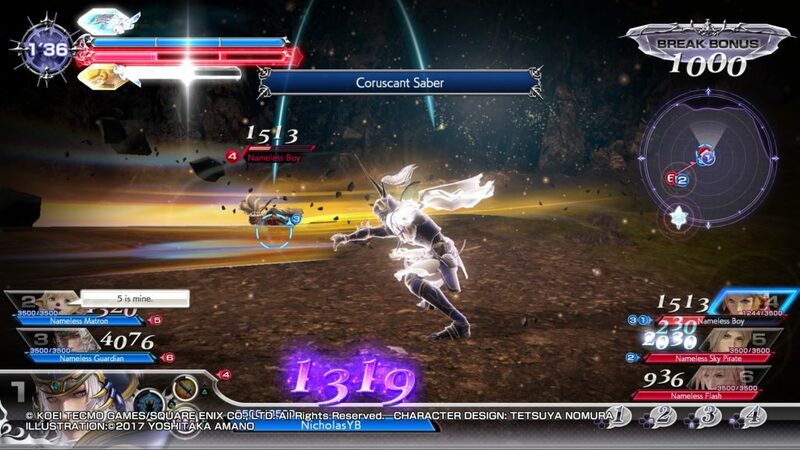 All that being said, the Dissidia NT beta delivers what it set out to do – provide a glimpse into what we can expect from the game when it does inevitably release. While I have some gripes with the game, such as no 1-on-1 mode and the terrible UI, those really are just personal preferences and nothing intrinsically wrong with the game’s core. The beta alone was a blast to play and brought back fond memories of my time with the franchise during my PSP days. 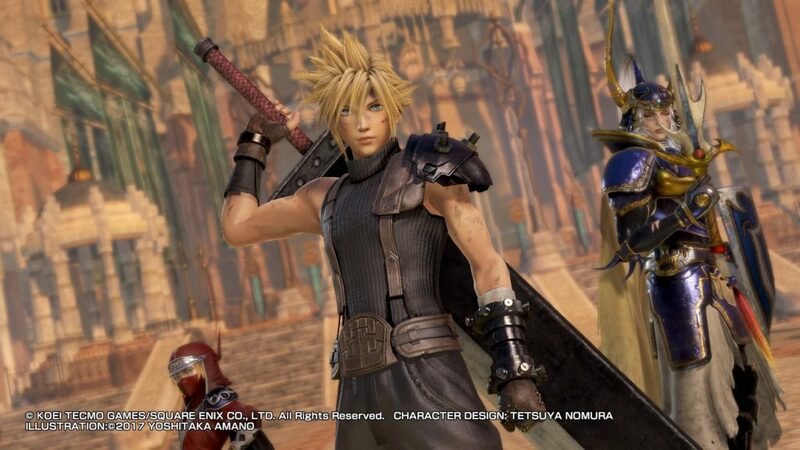 In the end, Dissidia Final Fantasy NT really does look like it’s shaping up to be a great game and I can’t wait to see it when it finally releases. Dissidia Final Fantasy NT releases on January 30th 2018 exclusively on the PS4. Previous Post Our Cosplay Highlights from AniManGaki 2017! Next PostOfficial Media Coverage – Taylor’s Bunkasai + SAIKOUFEST 2017!